Bang opposite the SSP’s spick-and-span official residence stands Gol Kothi — on its last legs. The security picket guard’s gun points at the building where Maharaja Jagatjit Singh spent his formative years in the 1880s. 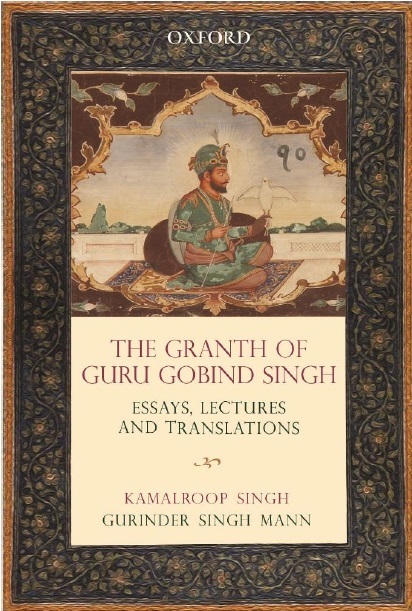 The cop’s firearm, however, is not to be blamed for the near-devastation of the monument, built by Raja Fateh Singh in 1833. It’s been ‘bombed’ — silently and ruthlessly — by apathy. The unmanned Kothi’s gate is locked, but a collapsed wall invites us to enter. Under the commemorative plaque is a sarkari notice, that the building has been declared ‘protected’ under the Punjab Ancient and Historical Monuments and Archeological Sites and Remains Act, 1964. We wonder if there’s a misprint, since the right word should be ‘unprotected’. The house occupants (pigeons) coo in agreement, as they welcome us to Kapurthala — once known as ‘Paris of Punjab’, but now a pale shadow of its former glorious self. 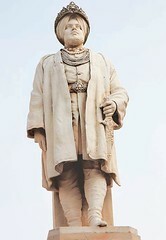 The Maharaja’s made-in-Rome statue on the premises of Jagatjit Palace, which houses Sainik School, tells another sad story. It stands forlorn near the volleyball court with a broken sword and two fingers of the right hand missing, its plaque defaced with scribbles. Sixty years after his death, the King’s stone image looks as fragile as the monuments he so lovingly built and nurtured. His century-old palace, modelled on the Palace of Versailles in France, is in dire need of comprehensive preservation and repair. I.K. 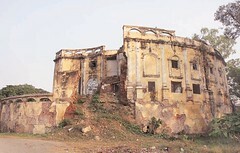 Sardana, convener,Kapurthala Chapter, Indian National Trust for Art and Cultural Heritage (INTACH), claims that the Trust has been doing restoration work on the palace. “After it’s over, we will move on to other monuments.Regarding the Gol Kothi, we have sent several representations to the state government, but to no avail. Now, it can only be re-constructed, not restored,” he adds. An unsafe ceiling at Jagatjit Palace, which houses Sainik School. Col Satbir Singh, Principal, Sainik School, says Rs 2 crore was granted a few years ago for the palace’s restoration, contributed by the Ministry of Defence and the Punjab government. “More than half of the grant has been used up, but not much work has been done so far, barring the mansard roof. The Maharaja’s great grandson, Tikka Shatrujit Singh, is himself involved in preservation projects, but says his hands are tied by governmental indifference and red tape. “My proposals on restoration have failed to interest the state government. Political will to preserve historical legacy is lacking,” he rues. “Something must be done to save this building,” says Harleen, a schoolgirl we chance upon at Gol Kothi. Perhaps she knows better than most adults that such wonderful structures can never be built again. At the mosque, there is not even a toilet for the staff, let alone tourists. According to the Maulvi, there used to be a toilet here, but the portion of the premises on which it was located was sold by the authorities (un)concerned for building shops.